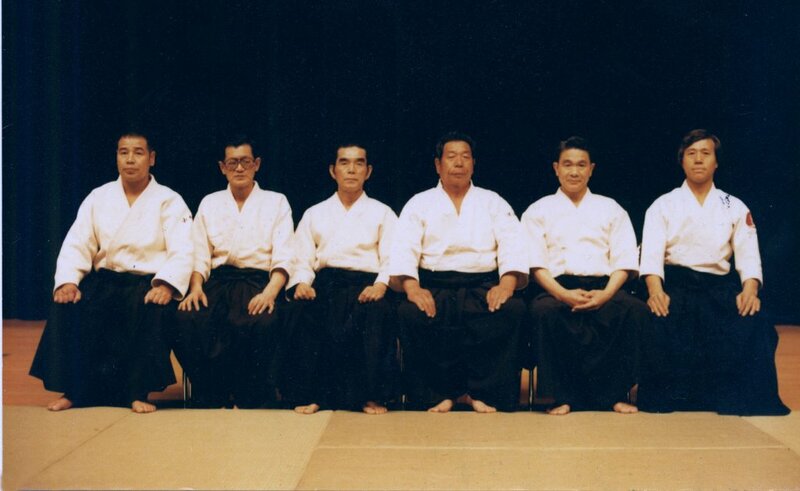 As previously described, there are now many Aikido associations and styles. The Aikido style that we follow in our group was shaped by Shoji Nishio Sensei, so that “our” Aikido could also be called Nishio Aikido. The “normal” unarmed Aikido techniques, techniques with sword, stick or Iaido: Nishio Aikido unites everything in a system in which the individual disciplines are not separated, but in which the same principles are applied across the board. The techniques are often very dynamic and also contain various optional strikes (Atemi) to show the attacker the possible directions of movement or to restrict his movement options. Nishio Aikido is not a fighting dance, no acrobatics, no theatrical performance. We try to preserve the roots of budo without releasing unnecessary aggression or violence. 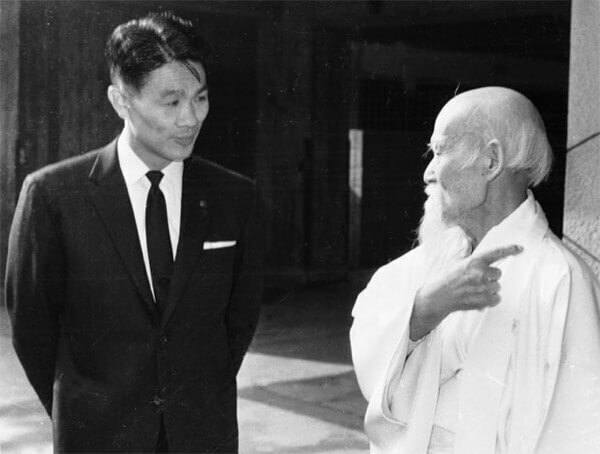 Shoji Nishio Sensei (1927-2005) was a direct disciple of Morihei Ueshiba, the founder of Aikido. He wore the 8th Dan in Aikido. Nishio Sensei studied not only Aikido but also other Budo disciplines. So he also held the 6th dan in Judo, the 5th dan in Karate and the 7th dan in Iaido. For Nishio Sensei, it was particularly important to emphasize the importance of sword and stick for Aikido training. In his eyes, for a true understanding of Aikido techniques – and their origins – it was essential to integrate sword and stick into everyday training. Whether an Aikido technique is performed without weapons, with sword or with stick – the movements are identical or at least very similar. In particular, when the hand becomes “Tekatana” in unarmed techniques (that means when the hand is used like a sword), this is not just an abstract principle in the Aikido style influenced by Nishio Sensei . It can be proven immediately when the same technique is practiced with the sword.